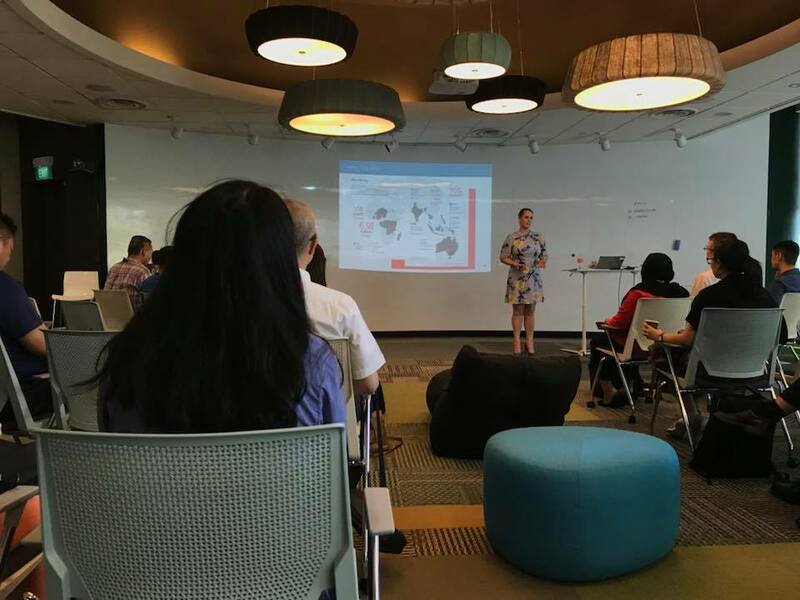 site visit to SINGtel: "50 shades of knowledge management"
How do you run a KM program within a large organisation located across multiple geographical locations, with diverse business units, stakeholders with differing customers and needs, and varied levels of maturity? Will a common KM framework or methodology work, and yet be flexible enough to meet everyone’s needs? Will initiatives translate and scale between divisions, countries – and cultures? How do you develop a common toolset and set of approaches for such an environment? Come learn from Singtel, where the Collaboration & Enterprise Knowledge Management (CEKM) team will share about their 3 year knowledge management journey, their lessons learnt and challenges. Megan Stokes is Director, Collaboration and Enterprise Knowledge Management at Singtel. She has more than 20 years’ experience in programme, knowledge, and change management with a balanced approach in managing systems, people, processes and technologies. Prior to Singtel, she led the IT Systems and Services team for Sales; Wholesale and Satellite at Optus in Australia. Her passion is enabling people to reach their potential, and growing the focus on collaboration and knowledge sharing. Friday 02 March 2018, 3pm-5pm. The presentation slides from this event are not public. Members may request a copy of the slides on condition that the slides are not circulated further without written permission from Singtel. If you would like a copy of the slides, please drop me a note to request them, giving your assurance that you won’t circulate them further. If you do want to share with another colleague you should write again to request permission.